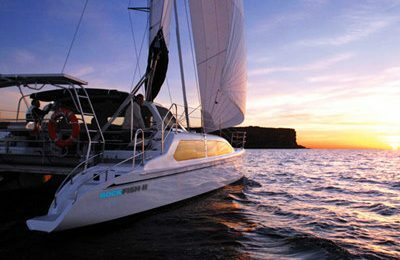 Your entire boat hire trip on this customized spacious catamaran is endless fun. Enjoy your own music while cruising in the middle of Sydney harbor. The boat is a great dancing floor over the water. The 35′ customized catamaran sailing yacht is designed for a party venue floating over the water, all about spacious-ness, with a huge salon and deck space, plenty of covered or open space to enjoy, to extend your dancing floor to anywhere over the water. OK for BYOB,Catering option is also available, please contact your captain for further information while your yacht charter booking is confirmed. 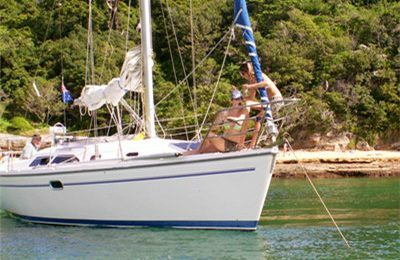 Standard yacht for hire picking up location is King Street Wharf in Darling Harbour,detailed instruction will be provided through email once your yacht charter booking has been submitted and confirmed. Yacht charter picking up location can be arranged at Sydney wharf with AUD 100 fee. 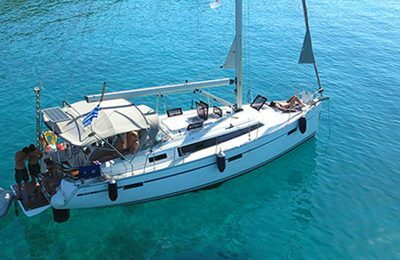 A customized 35 feet ( 10 meters) catamaran sailing yacht for hire.